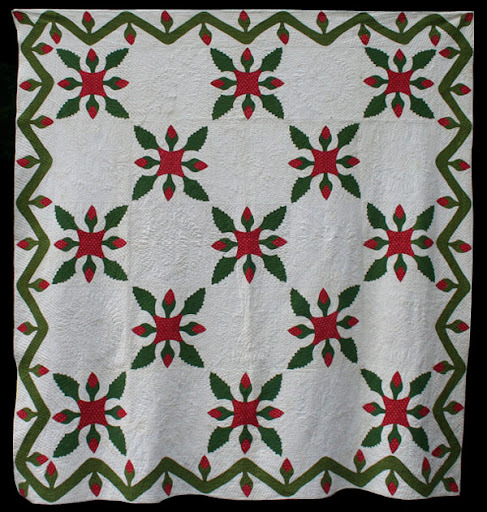 Julie Silber's Blog: Red & Green Quilts ... 'Tis the Season! 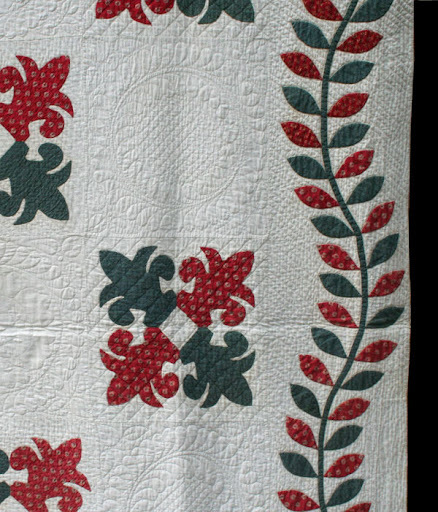 Red & Green Quilts ... 'Tis the Season! With some Red and Green BEAUTIES! A Few of the Antique Quilts We're Offering This Year. Here the "Green" is actually a Teal, and some might put it into the "blue" category. We have included it anyway, because it fits the Holiday Mood! 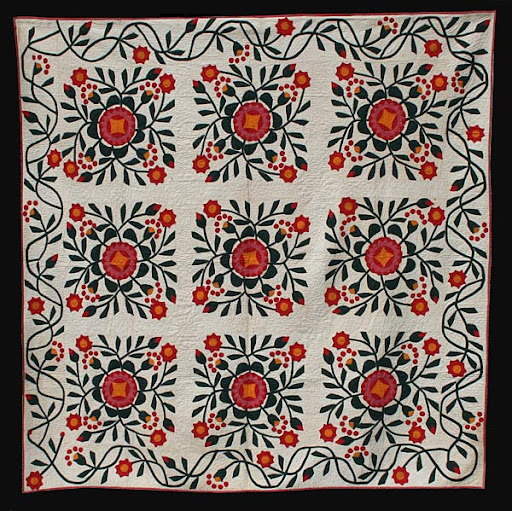 We always wonder, of course, why some women did not complete their quilts. So many things could explain it ... a broken engagement, illness or death, or something less dramatic. 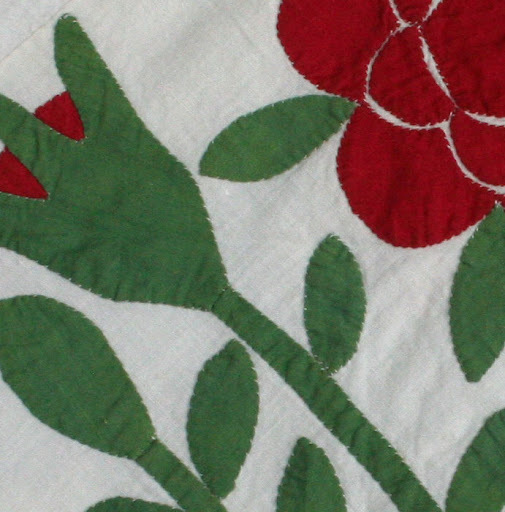 Maybe she loved applique but wasn't so keen on quilting, and her favorite quilter moved away? 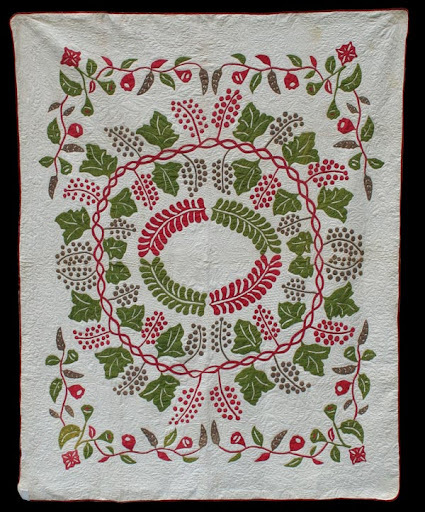 "You Don't See Quilts Like This Every Day..."
A most unusual and personal quilt, a celebration of the Grape! 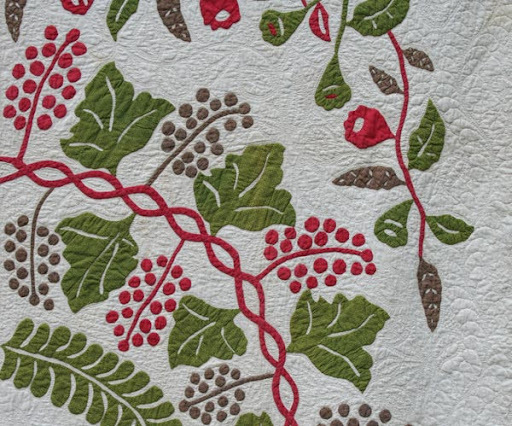 A marvelous "Wreath of Grapes" ~ not to be confused with "Grapes of Wreath" ! 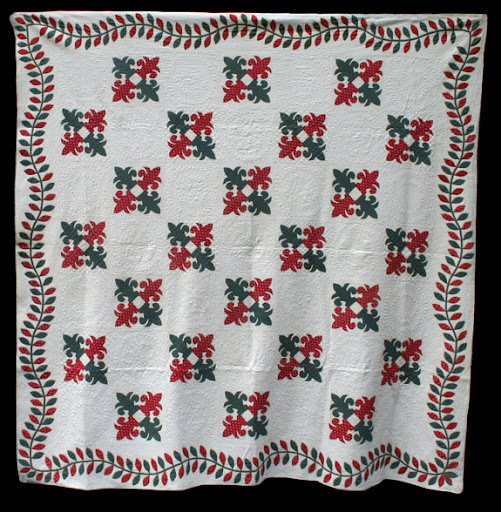 Red, Green, and White quilts appear about 1840 in America. 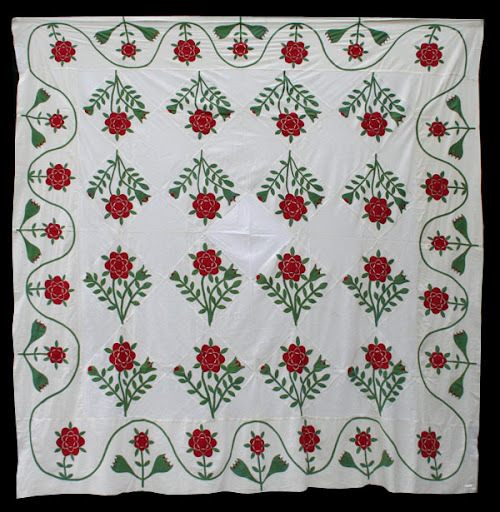 They were quite the vogue mid-century (1840s - 1860s), but they continued to be favored throughout the 19th century. 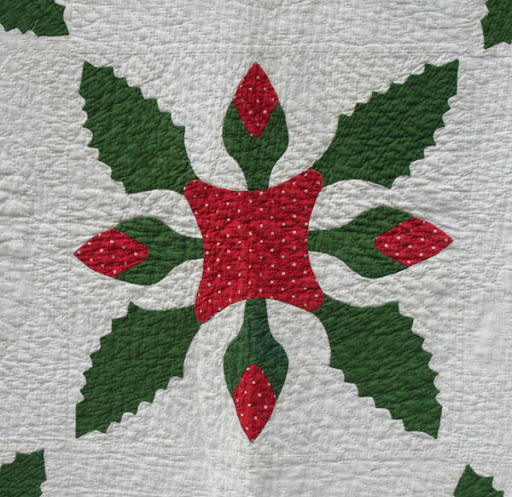 This one, which we call "Christmas Star," dates to about the 1880's. The applique design is simpler than in some of the early quilts, but this qt maker did not hold back on her elaborate hand quilting! 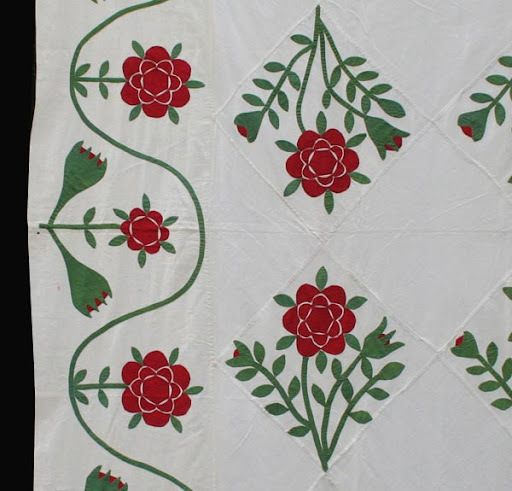 We found this circa 1890 quilt in Pennsylvania, where it was likely made by a woman of German ancestry. 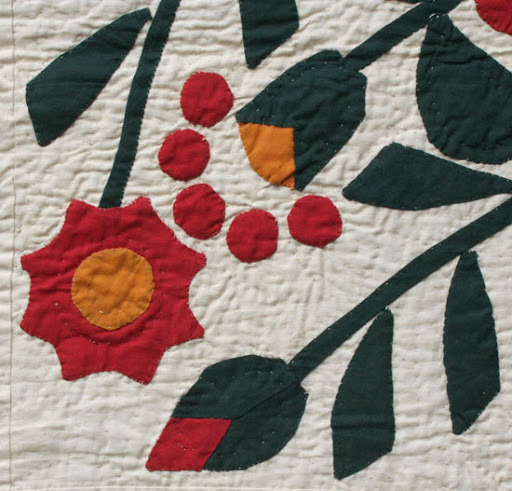 The exuberant color and densely placed color typifies what is often called the "Dutchy" aesthetic. 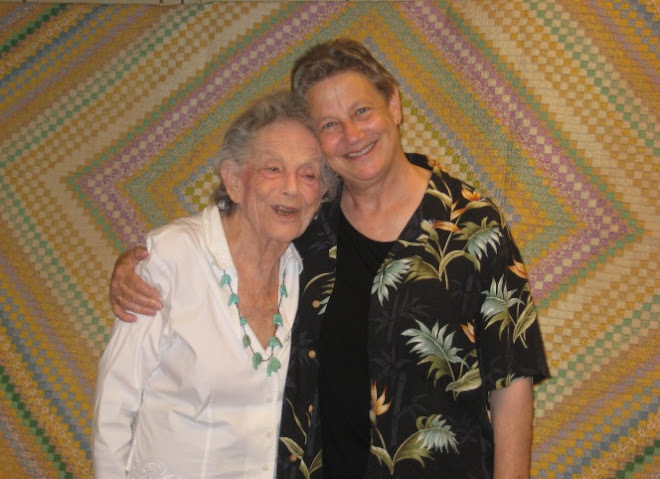 When you say--offering--are these quilts for sale? Magnificent! As always, thank you for sharing the collection! 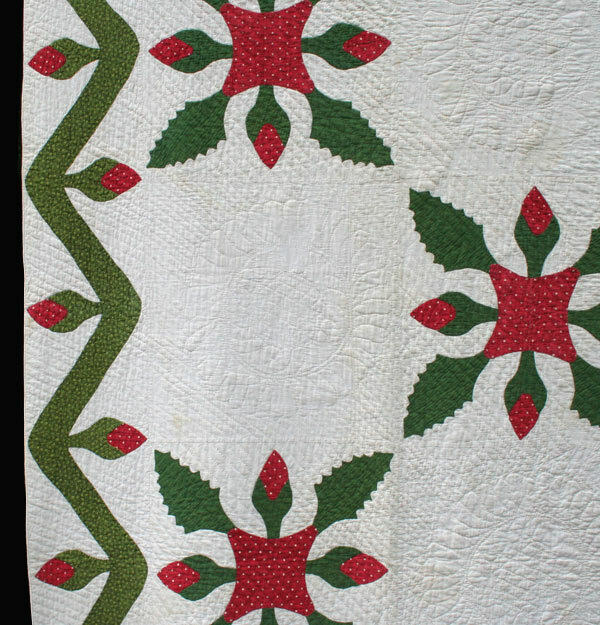 I love the folky whig rose and that Christmas Star quilt is awesome too!